Rev. Pederson offered a chronological summary of Luther’s life, from birth to death, his education, writings, and interest in finding peace with God, mentioning also Romans 1:16-17, “The just will live by faith” and how these words changed Luther. The reason for the Reformation, stated Pederson, was the timing, as the times were that of change. Trinklein, referencing the previous summary of Luther’s life and activity, presented on what I would call the worldly/secular results of Luther and the Reformation. The presentation itself was engaging and drew attention to what Trinklein considered the reasons for a number of the freedoms we have today in the U.S., including especially freedom of speech, free press, minority rights, right to education, separation of church and state (noting, however, that this is not identical with the teaching concerning the “two kingdoms”), and individualism (i.e. of religion). Pederson, in his chronological overview of Luther, noted key events of the Reformation and that which led up to it, including Luther’s vow to become a monk, studies, “tower experience,” 95 theses (referencing their posting, but not stating any, 1517), debates (i.e. Erfurt), Diets of Worms (1521), Marburg (1529) and Augsburg (1530). Pederson also spoke briefly about the circumstances of that time period, which were that of change. It is that “time of change,” stated Pederson, that was the reason for the Reformation. Such a time, I would argue, was not the reason for the Reformation. The reason for the Reformation was God’s doing, not Luther’s or merely the timing itself. Luther and time had something to do with it, to be sure, but only on account of God’s working through these for His purposes. Such a statement is that of faith, recognizing God’s work in the world through the work of man and time for the clear preaching of the Gospel. Why that time and that place? God knows. A closer look at Luther’s writings reveal that it was not Luther’s reformation, but God’s, as God’s Word was clearly articulated and made known, in contrast to the corrupted teaching of the Roman church and others (i.e. Zwingli, radical reformers). The second presenter, Trinklein, had mentioned Luther’s focus as an interest in ‘right relationship with God’ (historically not a Lutheran statement), but he took much greater pains to emphasize, not Luther’s theological endeavor, but the secular results/effects (i.e. changes), even going so far to (immediately/directly?) link Luther and his personality to the freedoms experienced today as we have them in our American context. Thinking about this, the statement could be made that Luther’s example of how he “stood up” to the ecclesiastical and ruling authorities, his emphasis on education, his use o f the media (i.e. printing press), and his forthright speaking to the issues of the day were precursors of our freedoms today, though such freedoms were not in place in Luther’s day as they are ours. Considering Luther as a precedent for American Freedoms, however, apart from the historical connections, seems a bit presumptuous. Trinklein offered little or no direct line of historical continuum between Luther and the Reformation to our day (i.e. historical legislation noting that our freedoms were a direct result of Luther). He had mentioned, though, that the father of Mike King, having learned of Martin Luther while in Germany, changed his son’s name from Mike to Martin Luther as a result of his work in the Reformation. Such a connection, if used to link Luther to current civil rights issues, is misplaced, as the father of Mike King, as presented, took to Luther on account of the freedoms derived from the movement rather than on account of what Luther was actually preaching, teaching, and writing according to the Word. Minimizing the very words that Luther spoke and wrote in order to draw attention to the “bigger picture” of societal change, or to see Luther primarily as the catalyst and example for change, is to misunderstood Luther and to present a caricature of Luther that is not accurate. Though Trinklein (and others) see Luther primarily as one who “set in motion societal change” and some current American civil liberties, such a limited view not only distorts the contribution of the Reformer, but gives precedent to the worldly while giving lip service to the heavenly. Luther’s interest was that of the Gospel. What was opposed to it in the church, Luther wanted reformed. Luther hadn’t set out to “change the world.” His interests were theological. His oral and written words derived from this interest, and such was the foundation for what he wrote and spoke. To relegate Luther and His interest in God’s Word and the very Gospel itself to mention, while at the same time emphasizing the possible results of such work, societally and secularly, but not theologically, is to use Luther as a means to one’s desired end. Rather than champion Luther as a “civil libertarian,” read his writings. The freedom that the Gospel speaks of is not temporal liberty from worldly oppression and peace in the world. More significantly, and eternally, the Gospel revealed in the Bible, and that which Luther proclaimed, frees the conscience and declares peace with God and freedom from sin’s penalty, which is eternal death, through the death of Jesus Christ. Whether freedom of speech, freedom of the press, right to education, etc. exist or not, the Gospel cannot and will not be silenced. American Christians do not rejoice for primarily the freedoms of this world. They rejoi ce in sins forgiven through Christ and the certainty of their eternal inheritance. Emphasizing the freedoms of this world and downplaying the true freedom of and in the Gospel (before God and man) is the way of the world. It is not the way of the Lord Christ. Nor was it the concern of Luther. This is a decent quote! It draws attention to the truth that we are not to question God and His ways. Nor are we in the position to question God and His Holy Word, as the writer to the Proverbs, for example, says, “Every word of God is pure; He is a shield to those who put their trust in Him. Do not add to His words, Lest He rebuke you, and you be found a liar” (Proverbs 30:5-6, NKJ). So often, however, contrary to what the Bible says, we, like Zechariah in the temple, question the Word and ways of God (Luke 1:18). Even though He has made known to us His will by means of the Holy Scriptures, His Word, we doubt, question, and even disbelieve what He has said. We say, for example, that St. Paul the apostle was speaking only of his day and time and culture when he spoke against the ordination of women (i.e. 1 Corinthians 14:34-40; 1 Timothy 2:8-15; 3:2, 12; Titus 1:6), or concerning homosexuality (i.e. Romans 1:18-32; 1 Corinthians 6:9), or about any number of current societal issues in which we want to usurp what the Bible actually says. We might say that, “God says,” but then reinterpret such words according to the way that we think they ought to be. And yet, we continue to speak the mantra that the Bible is God’s Word, though at the same time emptying it of its true meaning. Rather than letting God speak and mean what He intends by the mere Word alone, we reconstruct the words and implant a foreign meaning to them so that we, essentially, can live at peace with ourselves and the way we want. But such is not the way of God and His Word. They who alter and change it will reap the consequences (i.e. Revelation 22:18-19). Christians more or less might expect nonChristians to distort the Scriptures, for they likely do not believe them. Yet more and more, it’s not the nonChristians who are changing the meaning (and words) of the sacred text. Rather, it’s the so-called “Christians” who are doing so. Many mainline denominations have forsaken the heavenly doctrine and are more in agreement with the world and its ways and not God and His. The admonition of the Lord Jesus to the Pharisees also applies to them, “These people draw near to Me with their mouth, And honor Me with their lips, But their heart is far from Me. And in vain they worship Me, Teaching as doctrines the commandments of men” (Matthew 15:7-9, NKJ). What proof of this might their be? The phrase above, “Don’t put a question mark where God put a period” was posted on a church billboard, not of a faithful Christian congregation, but by a congregation of the Evangelical Lutheran Church of America (ELCA). This church body ordains women into the ministry, as well as unrepentant homosexuals, approves of homosexuality, approves of abortion and provides for it in its insurance, calls good evil and evil good (Isaiah 5:20-21), minimizes the sacrifice of Christ on the cross, preaches and teaches that the Biblical account of creation and other revealed accounts of God are myths and neither historical or factual, etc. Essentially, ELCA (and many other mainline denominational church bodies) have gutted Holy Scripture of its intended meaning (according to the Word written) and replaced it with something devilish (i.e. 2 Timothy 4:3-4). This is not according to godliness and leads the hearers (if they believe their words) to hell and not to heaven. And grievously, many who are members in these apostatized church bodies may care little for the truth of God’s Word and repenting of their ways should they remain in them. The words on that sign, “Don’t put a question mark where God put a period” are true words, but printed on a sign in front of an erring congregation that teaches contrary to the Word of God is not only misleading, it is deceptive. A congregation which is truly of God (and not of the devil, see John 8:42-47) preaches and teaches God’s Word according to the text, rightly divides Law and Gospel, calls to repent from sin that God calls sin, and points to Jesus Christ as the only “Way, truth, and life” (John 14:6). They call good what God calls good and call evil what calls evil. 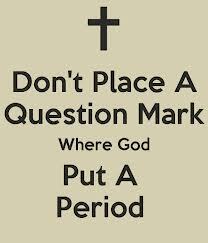 They don’t put a question mark on where God put a period. Instead, they speak the whole counsel of God, treat the Word of God as God’s Word (and not theirs), and seek to be faithful to the true doctrine, heeding the words of Paul to Timothy, “Take heed to yourself and to the doctrine. Continue in them, for in doing this you will save both yourself and those who hear you” (1 Timothy 4:16). Salvation is only found in Christ (i.e. John 14:6; Acts 4:12). The faithful congregation and the faithful pastor preach Him and Him alone and none other as the way to eternal life, and they seek to abide by His Word and hear only His voice (1 Corinthians 1:23-31; John 10:16, 27), for by these, the Lord sustains them, and gives certainty of peace with God (i.e. Romans 5:1ff). These we are to hear. From the others, we are to flee (John 10:1-5). For do I now persuade men, or God? Or do I seek to please men? For if I still pleased men, I would not be a bondservant of Christ. Our Lord Jesus says to his disciples, “If the world hates you, you know that it hated Me before it hated you. If you were of the world, the world would love its own. Yet because you are not of the world, but I chose you out of the world, therefore the world hates you. Remember the word that I said to you, ‘A servant is not greater than his master.’ If they persecuted Me, they will also persecute you. If they kept My word, they will keep yours also. 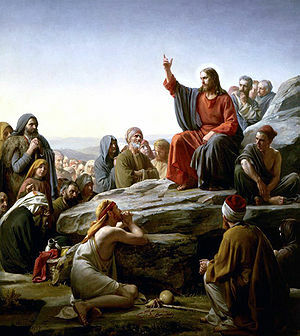 But all these things they will do to you for My name’s sake, because they do not know Him who sent Me” (John 15:18-21). Those who seek to please Christ are those who seek to abide by His Word and remain in it, regardless of the cost involved (John 8:31-32). Such cost may include the loss of friends, family members, or job. The hatred of the world may include isolation and persecution. Collectively, also, for Christ’s Church, for His people gathered around Word and Sacrament, such hatred of the world may present itself in the refusal to hear the Word of God preached by the pastor, the denial of Christ’s absolution, the promotion of schism contrary to the true doctrine, the despising of God’s Means of Grace, and the desire to change the worship service from being that which God works through to deliver His blessed gifts of life and salvation in the hearing of His Word and the distribution of Christ’s body and blood, to what we give to God, without first acknowledging the extent of our sin before Him. Like the Pharisee, we come to God’s house to tell God what we have done and how we have lived, and thus do we seek His favor based on our work and apart from His mercy in Jesus His beloved Son. Contrast this pharisaical approach to God based on oneself with the manner that the tax collector approached God. He could not even look up. He did not claim any goodness of himself, but simply confessed what was right and true. He had nothing to give. He had nothing to offer to God-only his sin. So he says, “God, be merciful to me the sinner!” (Luke 18:9-14, my translation: the definite article is in use here in the Greek text, v13). This “poor miserable sinner” claimed no merit of his own. He did not at all trust in himself. Nor did he look to himself for any “spark of goodness” whereby he might gain God’s favor. Instead, He trusted only in the mercy of God for help and salvation. He came expecting to receive from God, not to give. And Jesus says receive everything, this sinner did, “I tell you, this man went down to his house justified rather than the other” (Luke 18:14). To be justified before God means nothing less than having peace with God (Romans 5:1ff), having your sins forgiven, being unconditionally in God’s favor, and having nothing but God’s compassion and kindness upon you. On the other hand, to not be justified before God means nothing less than having God’s wrath and judgment upon you and to not at all have God’s favor towards you. Only in Christ Jesus do you have such true and lasting peace with God! This is the Christ who God reveals in His Holy Word. And this is the Christ which God’s Holy Church proclaims and who God’s people unashamedly confess. This, too, is the same Christ which the world hates, and for which God’s people joyfully suffer. But God’s people suffer for the sake of Christ and for the sake of His Name because He is their Savior, “for there is no other Name, under heaven, given among men, by which we must be saved” (Acts 4:12). They know no other God, for there is no other God (1 Corinthians 8:6). All others are nothing but false God’s, man-made, and of the devil (Revelation 9:20). This is why the world hates Christ, His Church, and His people—they are of God, not of the devil, the world, or of sinful man. They teach the way of God aright, neither compromising or weakening God’s message. They boldly confess and unashamedly proclaim the way of God in truth. God’s people come before God’s throne of grace, not giving to God, but seeking to receive from Him the mercy that God gives through faith in His Son (Hebrews 4:16). And by God’s mercy, that have it! This is indeed not a popular message, for many, even within the church, reject it. But it is only Christ who gives life (John 6:63). We are lost and condemned in our sin, with nothing to give to God. But God covers such sinners with Christ’s righteousness (1 John 1:8-9), and we, now, live unto Him, rejoicing in His bountiful goodness and believing His unmerited and undeserved mercy on account of Jesus, His Son and our Savior. Amen. “We do not seek the favor of men by our teaching either, if we may be permitted to say this without boasting. For we teach that all men are wicked; we done the free will of man, his natural powers, wisdom, righteousness, all self-invented religion, and whatever is best in the world. In other words, we say that there is nothing in us that can deserve grace and the forgiveness of sins. But we proclaim that we receive this grace solely and altogether by the free mercy of God and His works, universally condemning all men for their works (Ps. 19:1). This is not preaching that gains favor from men and from the world. For the world finds nothing more irritating and intolerable than hearing its wisdom, righteousness, religion, and power condemned. To denounce these might and glorious gifts of the world is not to curry the world’s favor but to go out looking for and quickly to find, hatred and misfortune, as it is called. For if we denounce men and all their efforts, it is inevitable that we quickly encounter bitter hatred, persecution, excommunication, condemnation, and execution” (Luther’s Lectures on Galatians, LW 26, p.58). Prayer: Dearest Jesus, preserve us, Your Holy people. Keep us from compromising Your Holy doctrine or accommodating ourselves to the ways of the world for superficial peace in the world. Give us strength to endure the temptations that befall us that we not forsake Your Word, but remain steadfastly in it and in the true faith for our salvation. Amen. Campus Ministry — A Blessing Indeed! What happens when you don’t let a Lutheran campus ministry know about your college-bound student? A recent post card from LCMS Campus Ministry asked the above important question. As a campus pastor myself, I greatly appreciate receiving information about students who either are currently attending UW-Platteville, or who will be (or at least thinking about it). Having this information is extremely valuable, as the University of Wisconsin system does not offer religious preferences of the students if they indicate as such. Thus, any information is most helpful. It would be of great benefit for pastors and congregations to send information (at least a first and last name) of students who are or will be attending this or that university to the respective campus ministry or area congregation. With such information, at least a welcome and greeting could be made. Such, I gather, was the reason for sending the post card with the question: to create at least an awareness of resources available (and be able to give encouragement) for the student attending college, namely, http://lcmscampusminsitry.org. And this is most helpful, as many congregations and pastors do not give even a name of an attending student. Not informing a local congregation or campus ministry of a student attending the area college/university only widens the divide between students and the great help they need while on campus, and between congregations and the pastors of the same church body. It demonstrates at least a lack of attention and pastoral/congregational care for a member(s) of the flock and, at most, an absence of spiritual concern for the attending student member. Of course, responsibilities lie, not only on the congregation in which the student is a member, but of the receiving congregation/campus ministry. They too are responsible, responsible for the using of that information for the benefit of the student, namely, that the student not only know of a sister congregation in their midst with whom they are in fellowship, but also in the way of encouragement in the Holy Word of God and the Sacrament of Christ’s Body and Blood, most precious gifts needed at all times, but especially during the pressures and temptations of college. Activities and various events especially for colleges students can and do attract students, but the centrality of ministry to college students (and everyone, really), is not the number of activities offered, how much fun is enjoyed, or how many attend, but Christ and the distribution of His gifts. With this front and center, everything else will indeed follow. Any of these may indeed result if the campus ministry doesn’t know that the student is attending. The answer given on the card as most likely was C. However, as much as the congregations and the pastors are responsible for what they are given to do, the student attending college also has responsibility, too. The student has responsibility to seek out a congregation which preaches the truth of God’s Word and administers the Sacraments of our Lord according to their institution. The student, too, has responsibility to be in the Word, not to neglect the preaching of that Word, and to join with other Christians with whom he/she is in fellowship (according to doctrine). All too often, many students neglect these things and are elsewhere than where the Lord would have them be. Students of LCMS congregations are beset by the temptation to go to church where their friends go, where a lot of activities and events are going on, where much emotional excitement exists, where “all the people are,” and to not go at all (to sleep in). But the former things say nothing about the preaching and doctrine/teaching going on. Nor do they say anything about whether the Lord’s Supper is offered or believed to be as Scripture teaches. For many, the things of God take a back seat to what interests and excites us. This also applies to the student attending college. Another observation about the answers offered for the above question is this…it assumes that students will not seek an LCMS congregation/campus ministry on their own. Though this might be true for many students of LCMS congregations, it most certainly is not true for others. In addition, an assumption is made that students are seeking a church or spiritual organization, and, that if a congregation/campus ministry does know about the student, the student will automatically “start going.” Though this does happen, in my experience, the times are few. A general apathy exists among many students who are members of LCMS congregations (and not only students) in attending God’s house on the Lord’s day, hearing the preached Word, and partaking of Christ’s Body and Blood (Explanation of the 3rd Commandment in Luther’s Small Catechism, see also the Large Catechism on this). Concern for God’s Word and the true doctrine, the faithful preaching of Christ and Him crucified (1 Corinthians 1:23), and the blessing of the Sacraments seems to be waning. This problem is existent in all of Christendom, not just in campus ministry. The blame is not only on the congregations and pastors not giving student information, for even if they do, this is no guarantee that the receiving campus ministry will “follow-up.” Nor is the blame only on that congregation who does receive that knowledge about the student and does nothing. Knowing about the student, and even visiting, communicating, and encouraging the student with the Word of God is no guarantee that the student will be “active” or will remain Lutheran. The home congregation of the student attending college, as well as the congregation/campus ministry of the college that the student attends both have responsibilities. But so does the student. All are accountable for their action or inaction. 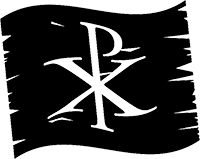 And all fall short…in faithfully catechizing, not just during confirmation, but during the entirety of the ministry, and catechumens in faithfully hearing the Word (throughout life) and remaining in the true faith. All are to blame! But simply “doing things different” or “changing” how we do things is, again, no guarantee that things will be different or better. The answer for the struggles that campus ministry encounters (and every congregation) with reference to local congregations/campus ministries serving students and the students’ home congregations is simply one of faithfulness—faithfulness to the Word of the living God. Congregations and pastors are not actually given to change people’s hearts. They do not have the power to do so. Nor are they to permit the statistics, consequences, or results to affect what is done. They are to be about God’s work and His Word, trusting in the Lord to do what He will have done according to His will, not our own. Then, the question becomes, “What would God have us be doing according to His Word?” This is the question. Now, is that we’re doing? If it is, then we have confidence, not that things will improve, that more students will attend, or that more will come, but the sure confidence that we’re about doing what the Lord would have us do. Then we won’t find it necessary to look for “all the answers” to our questions as to why this or that doesn’t work or “what am I doing wrong or right?” Rather, we’ll find ourselves rejoicing in the Lord for His great gifts, whether they be many or few, for truly, our only confidence is in the Lord alone. Of course, we’ll continue to wrestle with temptations and the outcomes as we evaluate them. Yet we’ll also note that the ministry is not ours. Nor are the results. These are the Lord’s. And as the Lord carries out His ministry of Word and Sacrament ministry, He’ll also draw us to these, too, for forgiveness, strength, and peace, for in these God gives life.